Academic honesty is a necessary condition for a successful education program. Lasting and meaningful relationships of trust within the MBA and MS programs community cannot be built without honest and ethical conduct inside and outside the classroom. Each student in the MBA and MS programs is expected to adhere to Purdue University’s Academic Integrity: A Guide for Students. In addition, each student is expected to understand and adhere to academic honesty and ethics policies as outlined by instructors in course syllabi. If at any point a student has a question or concern related to academic integrity, we strongly encourage the student to take their concern immediately to the course instructor and or a member of the MBA and MS programs staff. Students may also report an incident of academic dishonesty to the Office of Students Rights and Responsibilities at osrr@purdue.edu. It may also of help to read the guidelines on academic dishonesty here. Ensuring academic honesty in the community is the responsibility of each and every student and faculty member. Each Master’s program has an established curriculum set forth by faculty. Students seeking advice for how to matriculate through the established curriculum for their program may speak with a member of the MBA and MS programs advising staff. Faculty for each academic areas can also assist students with information about academic option areas or course selection. Course Registration – MBA and MSHRM Students – All MBA and MSHRM students register for courses via the myPurdue system and make changes to their schedule in accordance with policies and procedures set forth by Purdue University Registrar’s Office. The myPurdue system is the official university record for a student’s class registration and grades. Registration PINs – During each registration period, the MBA and MS programs advising staff issues each student a unique PIN that enables the ability to add or drop courses within the myPurdue system. Students typically receive a new PIN number for each semester via the Katalyst system at a date and time set forth by the MBA and MS programs advising staff. After a PIN is used for the first time in myPurdue, the PIN number is also visible in myPurdue via the registration tab. First year MBA and MSHRM students will be registered for fall semester module one and module two courses sometime close to the middle of July. In MyPurdue you will see that you are registered for a course TEMP for 8 credits; this will be a placeholder and will trigger your billing as a fulltime student. For both modules of the fall semester, students are assigned to teams of 4-6 students. These teams share a similar class schedule. The MBA and MS programs advising staff create teams and assign teams to a class schedule. Students meet their team and are provided with information about their class schedule during Krannert Launch Orientation. First year MBA and MSHRM students typically register for spring semester courses during the late October to early November time frame. Students are provided with information about registration timelines, and registration procedures via e-mail and the Krannert Life newsletter. All official information related to course registration and course availability is available on the MyPurdue database. The MBA and MS programs advising staff do not create teams or class schedules for first-year students during the spring semester. Students may choose their own class schedule and team creation is handled within each individual course as directed by the course instructor. During module three, students may add and drop courses as directed within the dates and procedures set forth by the Purdue University Registrar’s Office. See academic resource links below for more information about add/drop dates and procedures. During module four, the Master’s programs operate on a schedule different from the rest of Purdue’s campus. This schedule difference causes the Master’s programs to operate on a course add/drop schedule that differs from the rest of the University. Information about fourth module course add/drop dates will be publicized in advance by the MBA and MS Programs advising staff via e-mail and the Krannert Life newsletter. MBA and MSHRM students are encouraged to fulfill an experimental learning internship through their first summer. The process for securing an internship starts with the KPDC office in August of the students first semester on campus. 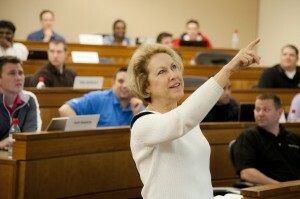 MS(F) and STEM MBA programs start their curricula in the summer. The summer module consists of 10-12 credit hours of intensive courses that run all day. The students will migrate through each course as a cohort. Team creation is handled within each individual course as directed by the course instructor. MBA and MSHRM students may take summer courses if they are on campus during the summer months. Second year MBA and MSHRM students typically register for fall semester courses during module four of the spring semester. Second year students typically register for courses before first-year students. Students are provided with information about available courses, registration timelines, and registration procedures via e-mail and the Krannert Life newsletter. The MBA and MS programs advising staff do not create teams or class schedules for second year students during the fall semester. Students may choose their own class schedule and team creation is handled within each individual course as directed by the course instructor. During the fall semester, students may add and drop courses as directed within the dates and procedures set forth by the Purdue University Registrar’s Office. See academic resource links below for more information about add/drop dates and procedures. Second year MBA and MSHRM students typically register for spring semester courses during the late October to early November time frame. Second year students typically register for courses before first year students. Students are provided with information about available courses, registration timelines, and registration procedures via e-mail and the Krannert Life newsletter. The MBA and MS programs advising staff do not create teams or class schedules for second year students during the spring semester. Students may choose their own class schedule and team creation is handled within each individual course as directed by the course instructor. MS(F) students have a set curriculum but are encouraged to seek out extracurricular electives within the Krannert School of Management. These electives can be chosen after discussing learning outcomes with the faculty of the MS(F) program. MS(F) students can seek academic advising from the Master's Office. MS(A) students are to receive academic advising from their faculty advisors. Under faculty direction the MS(A) students will create their own schedules for fall and spring. The Master's Office can provide general assistance to any MS(A) student that chooses to seek it out. Katalyst is the a course management system utilized by Master’s program courses. Courses added via the myPurdue system become visible in Katalyst within approximately 24 hours of a schedule modification within the myPurdue system. Additionally, registration PIN numbers for each semester are available in Katalyst at the time and date set forth by the MBA and MS programs advising staff. Please note that myPurdue, not Katalyst, is the University’s official record of your course registrations and grades. MS(F) and MS(A) students will have the ability to adjust their own schedules using the MyPurdue system.